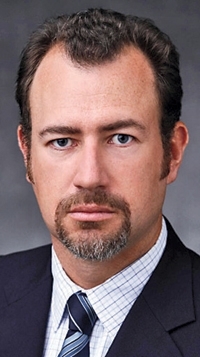 DETROIT -- A $600,000 payment from General Motors to an advertising agency in which the wife of CFO Dan Ammann is a partner prompted a mea culpa from GM to securities regulators last week. In a filing with the Securities and Exchange Commission, GM said it recently learned about the payment, made in 2011 to ad agency Mother New York. Pernilla Ammann, wife of GM CFO Dan Ammann, is an officer and partner in the agency. GM told the SEC that the transaction "has been properly ratified" under GM's policies that govern business involving related parties, "but not all the required procedures were followed." "'Properly ratified' means our CEO and general counsel approved the transaction as being appropriate and in the company's interest," GM spokesman Dave Roman told Bloomberg in an e-mail. "In this instance, it was ratified after the fact." Mother New York worked on a project related to the centennial of the Chevrolet brand, Roman said. The arrangement wasn't disclosed in the original proxy material for GM's annual meeting on June 12, according to last week's filing. GM said it "recently learned about" the relationship. "They are not doing any work for us at this time," Roman said. GM spent about $1.8 billion on U.S. advertising in 2011, trailing only AT&T and Procter & Gamble, said Jon Swallen, head of research at Kantar Media, a New York company that tracks ad spending. GM's marketing department is changing as Chief Marketing Officer Joel Ewanick looks for efficiencies and strives to make Chevrolet and Cadillac global brands. GM picked Aegis Group's Carat as the GM agency for media planning and buying, and consolidated Chevrolet's ad business under one newly formed company, Commonwealth. Chevrolet previously used 70 ad agencies around the world.